There are currently 114,591 users on this website. I decided to fill a long vacant hole in my collection. A 1909-S LWC. I watched eBay for a while and decided on one I liked in a PCGS slab VF-45 condition. I ran the ID number through their database... it seemed to check out. I put in what I thought was a low bid and low and behold no one else bid on it. 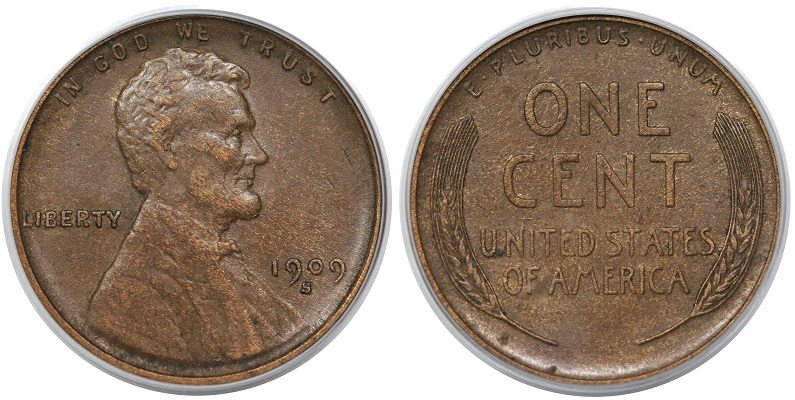 This is my first slabbed coin purchase and I'm gun shy. The seller has great feedback and a 30 day money back guarantee. Before I receive it and free it from its holder I thought I'd get some trusted opinions. Here's the link to it. I paid $119.50. That's right around where quite a few eBay auctions have ended for an XF 45 1909-S 1C. One of the reasons why a lot of sellers have moved away from auctions there. I know they feeling quite well. Last year, I bought roughly $10,000 in gold jewelry on ebay from auctions. I was able to sell it at a profit (in nearly every case) to a scrapper. In other words, I was able to get gold on eBay for considerably less than melt. (Some of the pieces had diamonds as well). Each time I won an auction, I had that nagging feeling that I was missing something. Eventually, I got more comfortable knowing that deals can be had on the bay. It also encouraged me to limit the amount of auctions and prefer BIN listings. It is a nice looking coin with a bit of "woody" going on. The seller has a good reputation. I would not worry about it, and just look forward to receiving your coin. you did ok with coin and price . Eventually, I got more comfortable knowing that deals can be had on the bay. It also encouraged me to limit the amount of auctions and prefer BIN listings. I rarely bid anymore. Deals can be had with little risk if you (1) purchase what you are knowledgeable about & (2) choose your Seller wisely. Thank you everyone. My anxiety is nil now and am just excited now to receive my coin. I've bought from this seller. No worries. Great snag! The seller is highly reputable. Congratulations on your purchase! Good price. I've bought from this dealer before. reputable. I'd keep it in the holder, but if you want to free it so be it. It took 0.87 seconds to rattle this change.